John heats his home with a combination of systems. 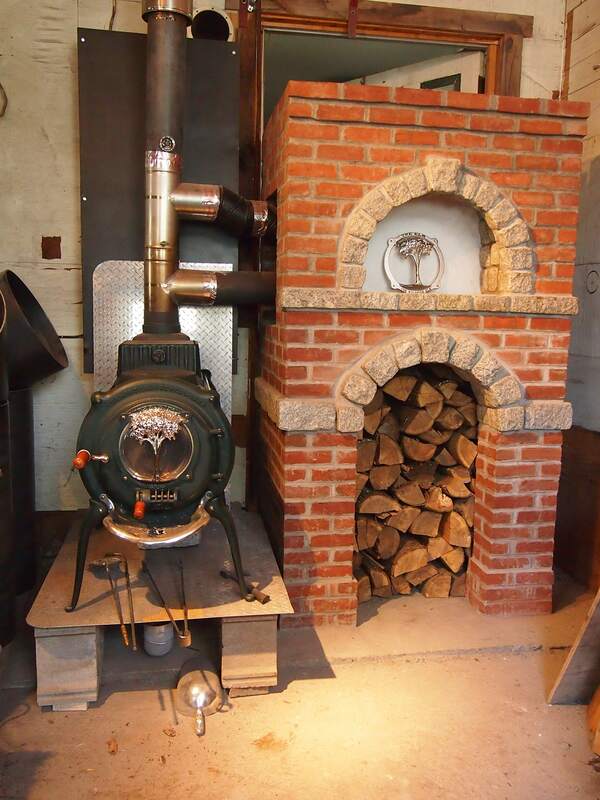 There is the radiant Elm stove in the lower level, which also heats water in conjunction with the 2 solar panels on the South side of his house. 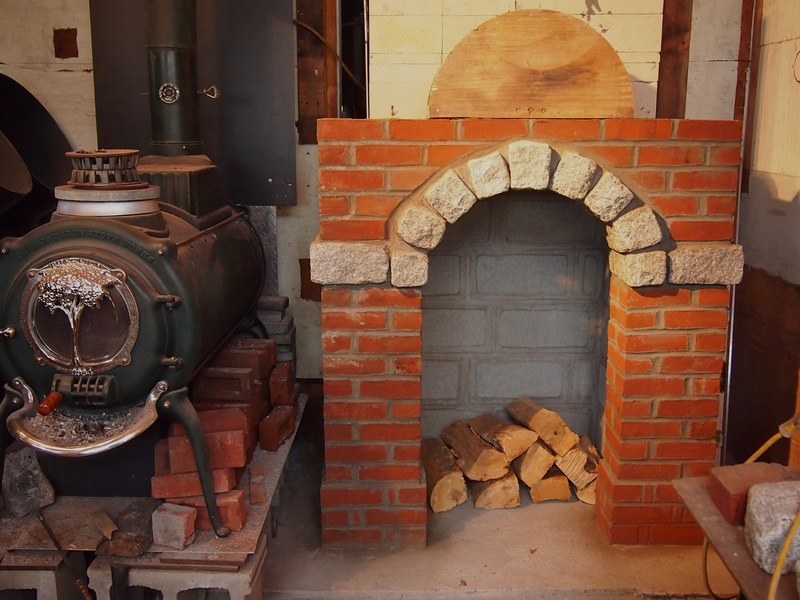 There is also an oil fired boiler, which he uses as little as possible. 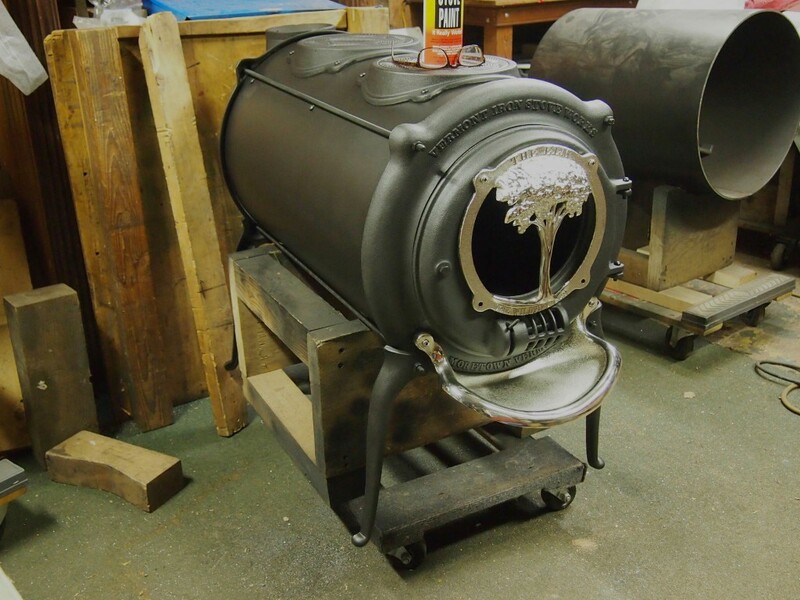 Jesse James, world famous motorcycle builder and hot rod builder, has selected an Elm stove to heat his new metal shop. You will be able to see the Elm on his upcoming episodes, providing heat and a place to keep his coffee warm. 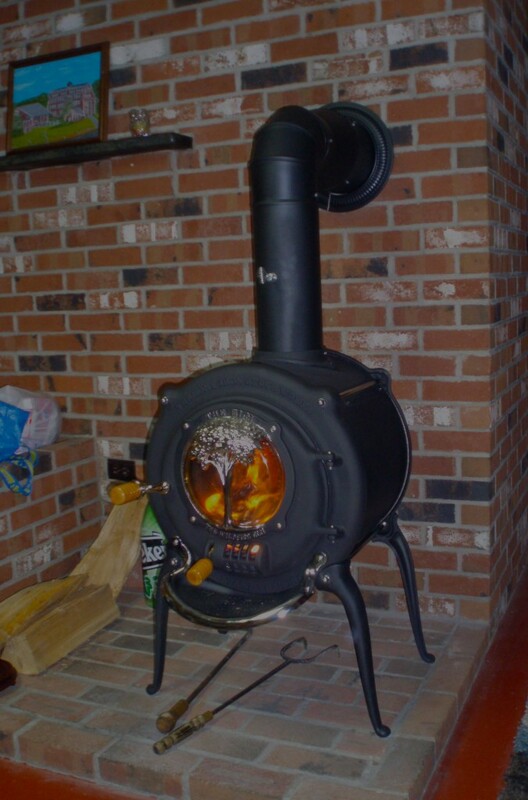 He was inspired by the monster stove I built last year for a local maple syrup maker.